Qualification needed : 12th Standard Pass or equivalent. Application Fee:A fee of Rs. 100/- (Fee exemption for SC/ST/PH/Women and Ex-Serviceman candidates only) to be deposited in SBI in the form of cash by challan or by Online in SBI. 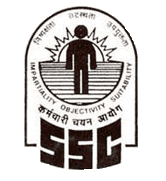 Application Instructions: Candidates should send their completed applications to any Regional Director of SSC where you want to have your examination centre.